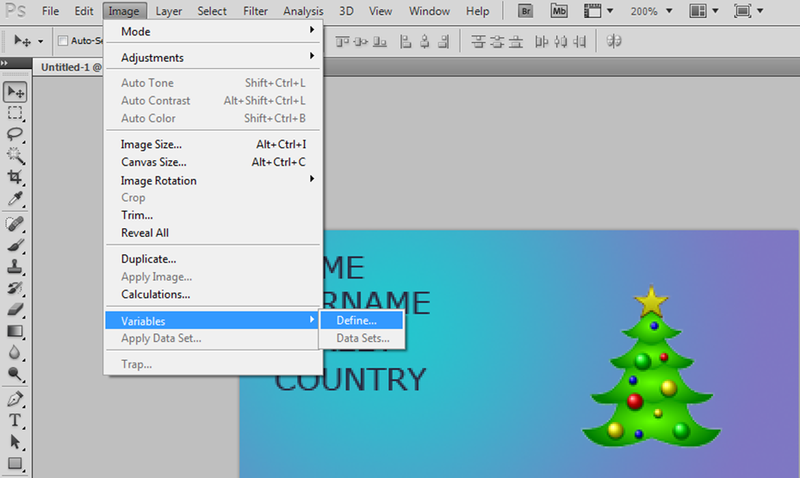 Choose the layer ‘Name’ and in the “Text Replacement” field type “Name” which is the same column header as in the Excel database. 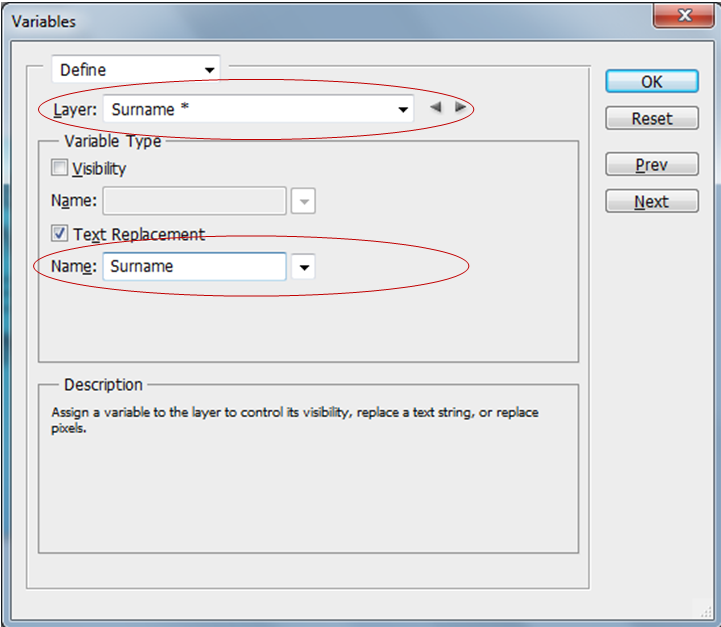 Now choose the layer ‘Surname’ and in the “Text Replacement” field type “Surname” which is the same column header as in the Excel database. 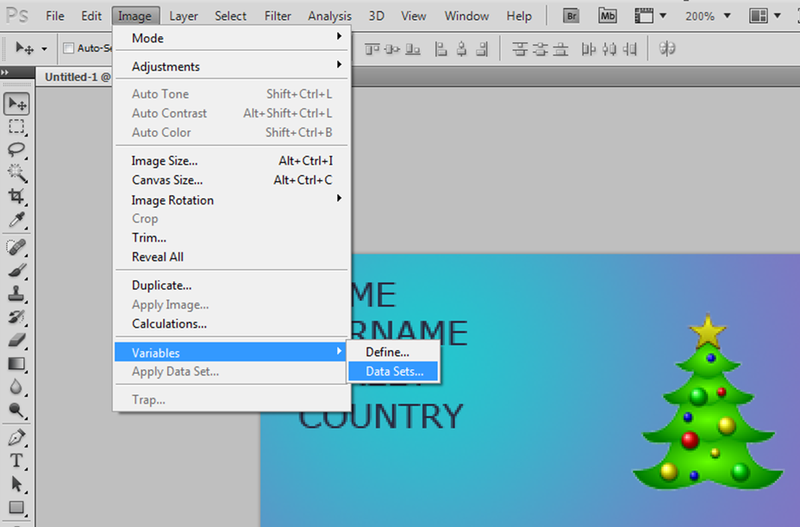 Now choose the layer ‘Country’ and in the “Text Replacement” field type “Country” which is the same column header as in the Excel database. 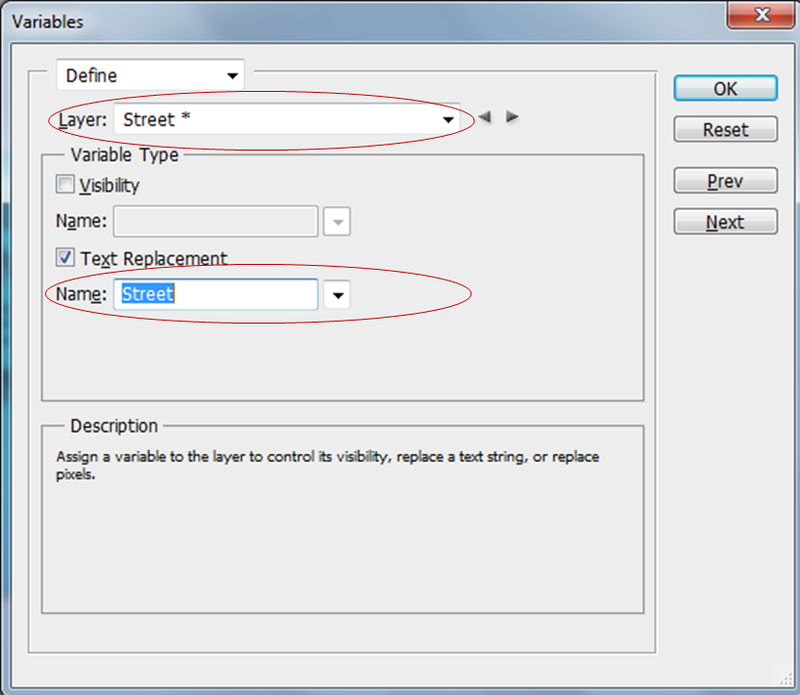 Now choose the layer ‘Street’ and in the “Text Replacement” field type “Street” which is the same column header as in the Excel database and press the “Ok” button. 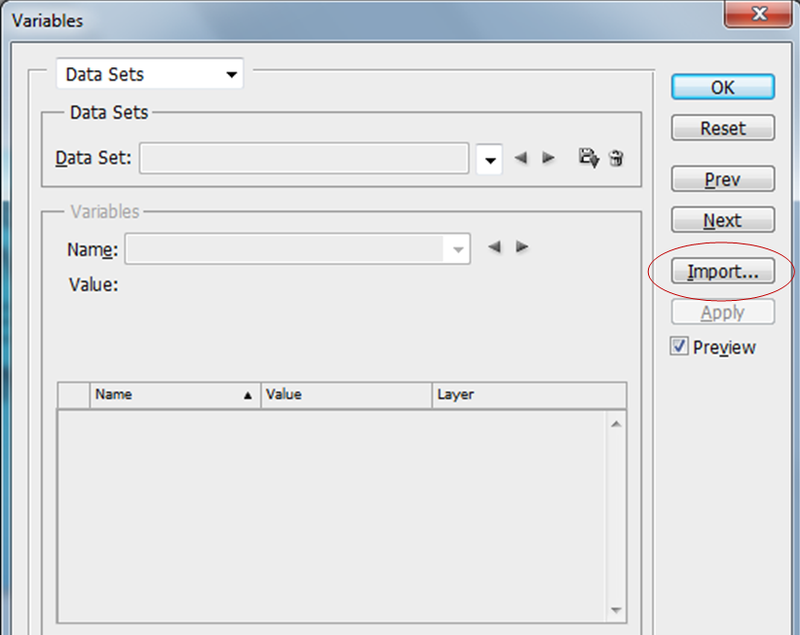 Press the “Import” button and select the database file and press the “OK” button. 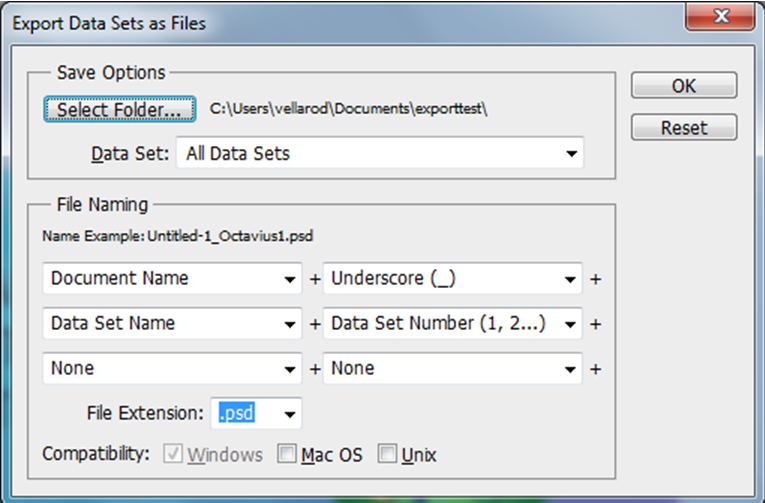 Press the “Select Folder” and press the “Ok” button. 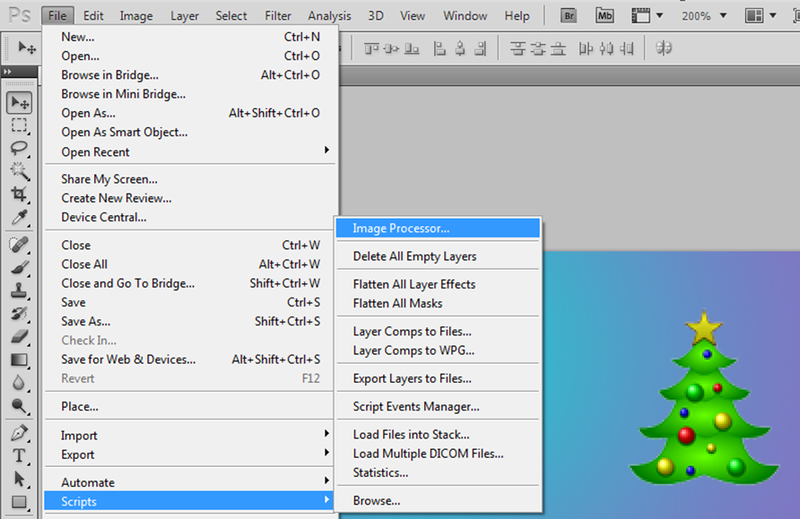 Photoshop automatically will create a different Photoshop file for every row in the database. 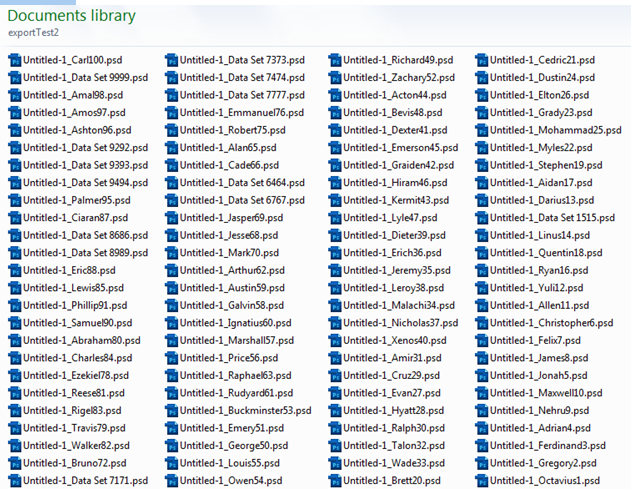 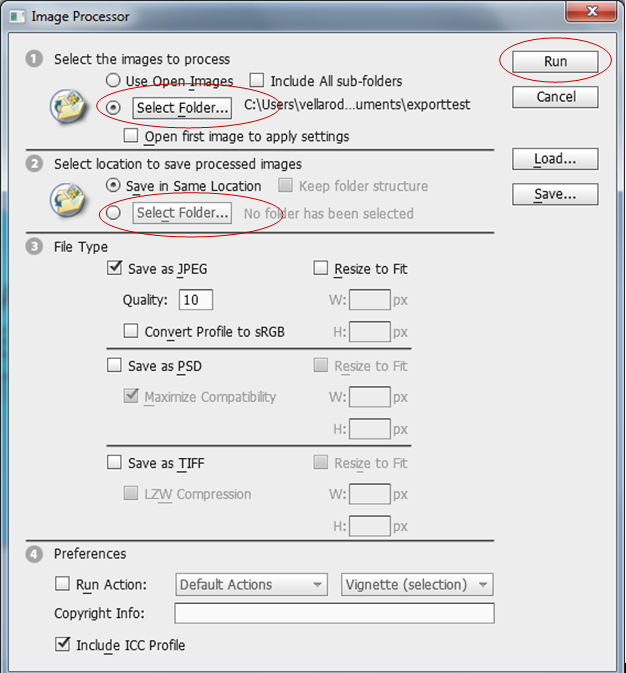 Select the folder where you previously exported the PSD files and select the folder where you want your JPEG files. 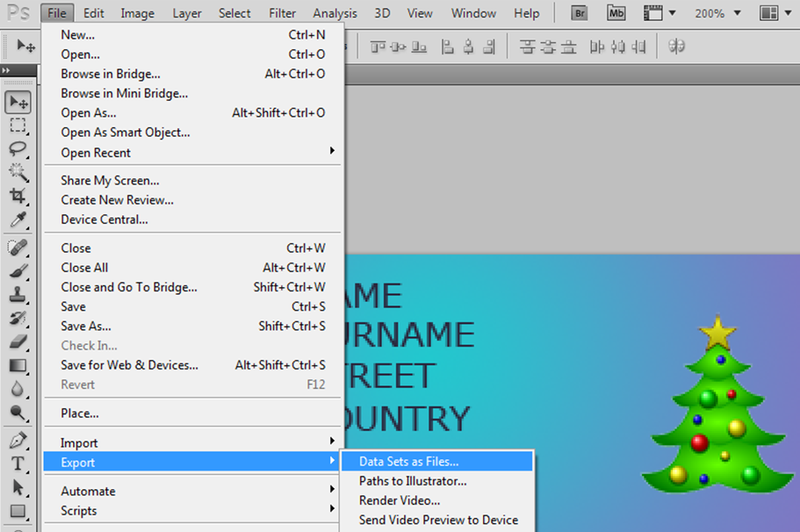 Then press the “Run” button.